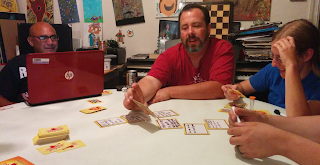 Welcome to the 200th post on the Game Dork's Gaming Corner! I've got to say, it's kind of amazing to me that I've come this far. Enough woolgathering. Let's get to the issue at hand. 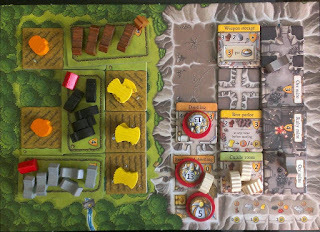 Some of you may know that I made a new year's resolution to play 80 of the games on the top 100 list over at Board Game Geek. Tomorrow is the last day of 2017, so I think it's safe to call it. I did not meet that goal. I recently played a fun game. It's called Skull (though from what I understand, it was originally called Skull and Roses), and it's super simple, but super fun. 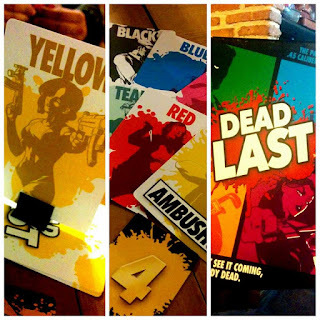 You can buy the set from Asmodee Games, or you could make your own with some pieces of cardboard and a marker. The time has come to repost another PinkFae article. As a reminder, or for those who are new to this blog, the PinkFae Archives are repostings of the articles I wrote for the trans-inclusive gaming blog pinkfae.com, before that site became defunct. Since I don't want all those articles I wrote to be lost, I am reposting them here on my personal blog. Today's entry was originally published on 7 February 2016. I hope you enjoy it! I was introduced to GURPS (the Generic Universal Role Playing System, published by Steve Jackson Games) in 1991. I admired the flexibility and adaptability of the system, as well as its realism and the fact that it encouraged rounded, dynamic characters. It didn't limit possible character traits to attributes and skills, but had mental, emotional, and social advantages and disadvantages. 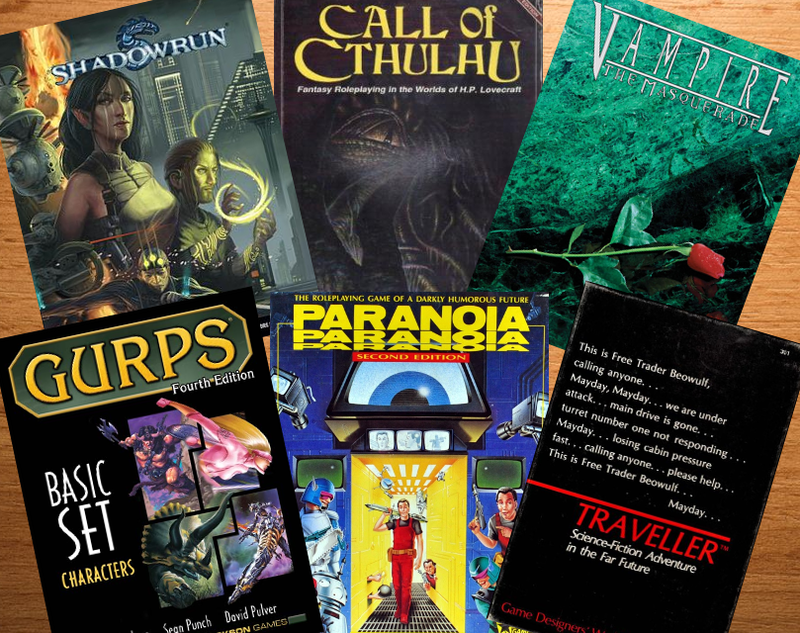 This allowed players to emulate a personality more fully than in games like Dungeons and Dragons. But there was one disadvantage that I have never given a character: Social Stigma. 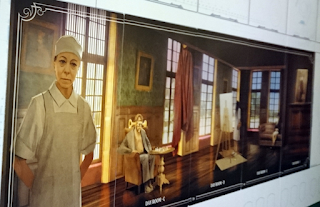 It provides an in-game mechanic for simulating a character that belongs to a group that is deemed by his or her society to be inferior. In looking back on it, I realise that I didn't fully grasp the possibilities of this disadvantage. Now, I have learned much, and I would love the opportunity to play a character with this disadvantage. I was playing Say Anything with some friends recently. 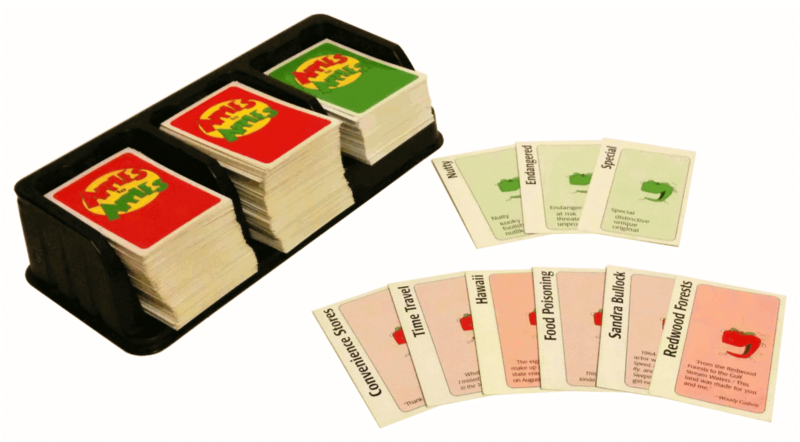 The basic idea behind this game, for those who don't already know, is that the players take turns being the judge, and the judge reads a question off one of the cards in the deck (the questions always refer to the judge; for example, 'What is my favourite brand of beer?' or 'Where in the world would I like to travel that I haven't already been?'). The other players write down possible answers on small dry-erase boards. The judge decides and secretly records which answer best applies. The players then vote on which answer they think the judge chose. They get points for voting for the answer chosen by the judge, and the person who wrote the answer chosen by the judge gets points as well. On one of John's turns, he read the question, 'What game do I think is most overrated?' There were several good answers, but the one he chose was Dungeons and Dragons. The reason he gave is because there are many roleplaying games (of varying levels of quality) in existence, but so many people (even many gamers) have never heard of any of them apart from D&D (or, these days, Pathfinder, which was based on D&D so may as well count as D&D anyway). He went on to describe how annoying it always is to have to explain, 'Well, yes, it is like Dungeons and Dragons, but it's not like Dungeons and Dragons because the system is different, the setting is different, the object is different...' Because of that, because of how tired he gets having to tell people that he doesn't play D&D because there are so many other and (in his opinion) better RPGs out there, he ranks D&D as the most overrated game. We have come to installment #5 in our reposting of my articles from PinkFae. This article was originally published on 31 January 2016. One quick note before we get to the article reprint: the Andrana Project is live on Kickstarter. At this moment, there are 10 days left before the end of the drive. This looks like a great game, and they're only at 54% funded. If you read this before 5 December 2017, please head on over to their Kickstarter page and help them meet their goal! When people sit down to play games, what exactly are they doing? I spoke of this a bit a couple of weeks ago. 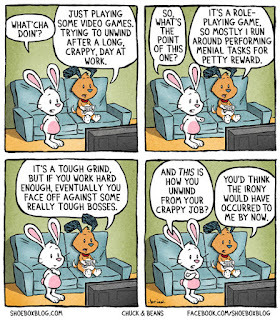 Depending on the nature of the game, we are doing things that can be just as difficult as a so-called 'job.' Games come in so many different forms; games of luck, of physical prowess, of strategy, of skill (broken into many different types of skill; spatial reasoning, manual dexterity, mathematical ability, and so forth), games of knowledge or memory or bluffing or deduction... It may be obvious by now that I am most strongly drawn towards games that have a serious element of telling stories. One thing I've always wondered is why science fiction and fantasy are lumped together as a genre. When I go into a bookstore, the two types of books take up a single section, apart from 'romance,' 'comedy,' and general 'fiction.' Even though the general fiction section doesn't always confine itself to a specific setting (books in that area can be found taking place at any point in history – from prehistoric ages as in The Clan of the Cave Bear to modern day novels, which are legion). Nerds won't go to any other fiction section. Non-nerds won't go into that section. Nerds will indiscriminately read anything in that section. But even more interesting is the idea that the two genres are inseparable. The tendency to lump sci-fi and fantasy into a single section is nearly universal, even amongst nerds themselves. Even the cable channel Syfy (formerly the Sci-Fi channel) broadcast fantasy shows with great frequency. This question is relevant now with the release of the new Starfinder roleplaying game. It basically takes the Pathfinder system and uses it for science fiction gaming (though it still contains magic and other fantasy elements). 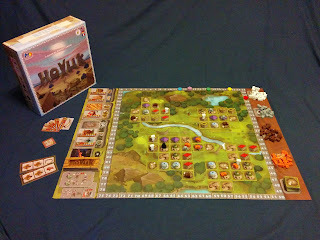 Some of the articles that I wrote for PinkFae were board game reviews, just like ones that I write here. Today, we come to the first entry that is a reprint of a board game review. This article was first published on 23 January 2016. I hope you enjoy it! A thing I like to do on occasion is review board games (and, technically, card games too). I've done many over at my main blog, and I think it will be fun to do it on occasion here as well. So if you're interested in learning about some of the many high-quality (and, let's be honest, not-so-high-quality) games out there, keep your eyes on this space and we'll see how many we can cover! 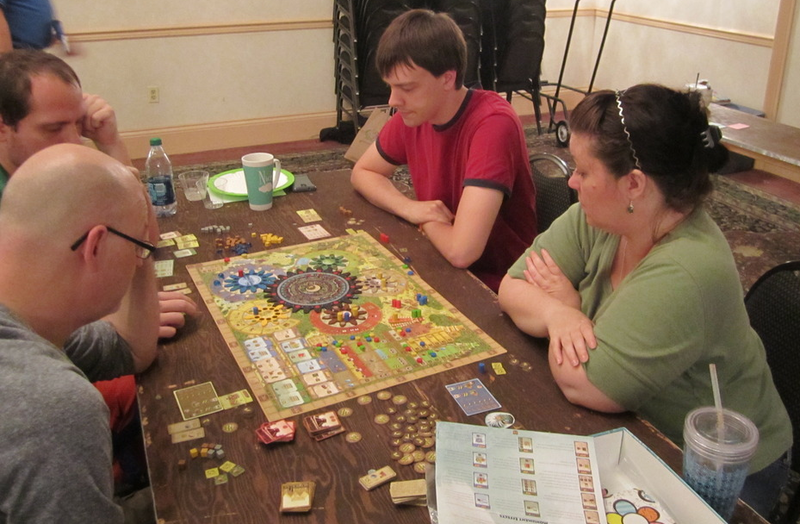 We'll start with a game I learned to play last week: Tzolk'in: the Mayan Calendar. In PinkFae Archive #3, I mentioned that a good way to foster diversity and tolerance within the gaming community is to add diverse NPCs to your game. I've done this myself on several occasions. However, I also realise that it's not always easy for people to develop a diverse cast of characters for use in their games. So, to that end, I am going to start a new series of posts called 'Inclusive NPCs.' Today's entry will be the first in that series, in which I introduce you to Cedar. 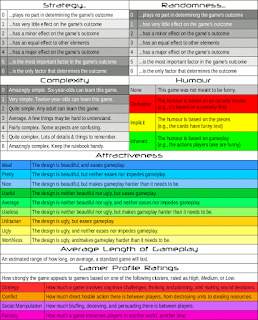 I encourage you to adapt and use any NPCs that I publish here in your games as you see fit. With that in mind, I will (for both this entry and for any subsequent entries in this series) provide a basic write-up in four of the most common systems: D20, GURPS, the original World of Darkness, and FATE Core. So let us meet Cedar. Cedar is an intersex agender individual who has chosen to become a vigilante. As a genderless person, Cedar prefers the use of gender-neutral pronouns 'they' and 'them' (as in 'They are a vigilante,' and 'Cedar has few friends, but all their friends greatly enjoy spending time with them'). Cedar was the child of parents who believed in the sanctity of the human body, and so refused to allow any surgical alteration to bring Cedar in line with any particular gender identity. As they grew up, Cedar presented as female until adolescence, when they began to explore the possibilities of being intersex. Eventually, they decided to eschew gender roles entirely, and began to identify as agender. Motivated by the mistreatment that they often received at the hands of others, Cedar chose to become a protector, and studied combat arts so that they could prowl the streets at night in search of people in need of help. Now twenty-five years old, Cedar considers themself to be an accomplished defender of the weak and helpless. I'm going to post something a bit meta today. 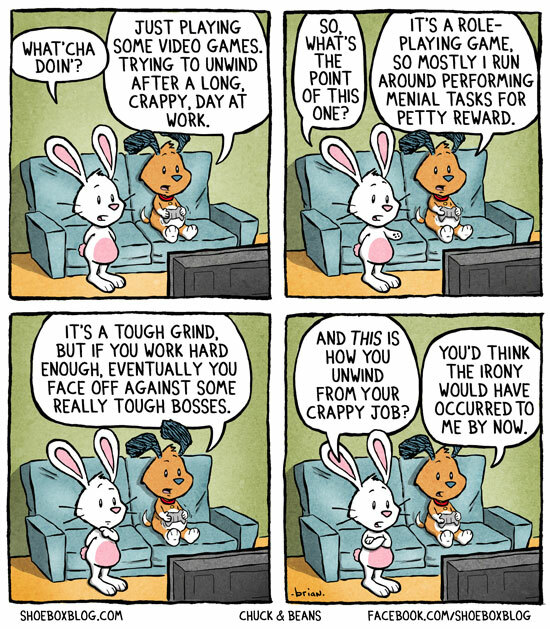 I'm not going to talk so much about games, but a little bit more about the games industry. In fact, I'm even pulling back my perspective to talk a little bit about creativity in general. Let me set the scene. I currently live in central Oklahoma. There's not a lot in Oklahoma. There are farms, there is oil and natural gas, and there is a smattering of a few other things. If you live in one of the two major urban areas (the Oklahoma City metro area, and Tulsa), there's a slightly broader array of things to do and see. A small handful of companies have their headquarters here (most notably, the drive-in fast food chain Sonic), and downtown OKC and Tulsa have some offices for various corporations. But otherwise, there's not a lot to Oklahoma. The state tries to rely on its Native American heritage (all of which was basically imported from other parts of the country anyway) to promote tourism, but not many people think of Oklahoma as a vacation destination. Before we get started, please allow me to remind you that I have set up a Facebook page for this blog. If you like reading the stuff I write here, head on over to follow me, so that you can keep up to date, and see interesting new stuff that I might post there! An employee from Portal Publishing was irritated to see people claiming that a game is unbalanced and worthless after only playing through once or twice. Instead of learning the ins an outs of the game and getting good at playing that game, they give it a cursory single play-through and then give up on it entirely. Really, the entry is quite interesting. It's a little emotional, as the author is clearly upset. But I highly recommend reading the whole thing. 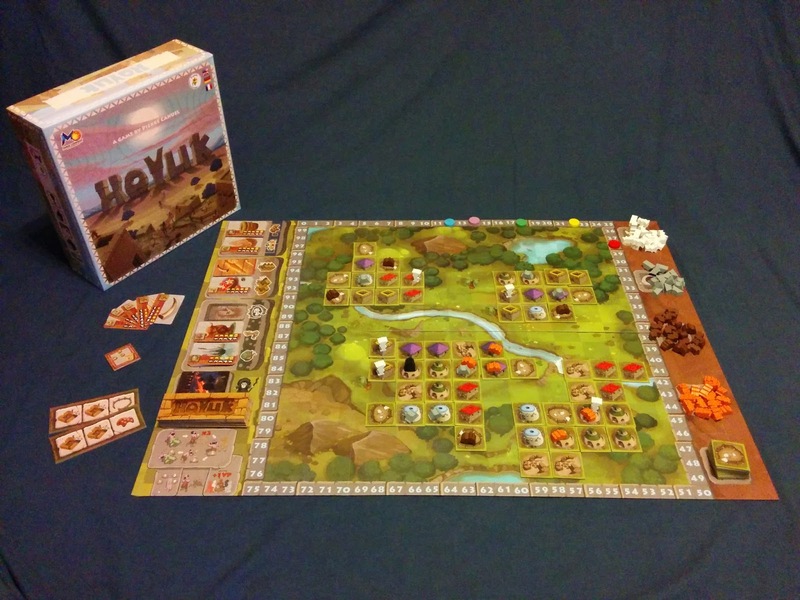 As I continue to write reviews for those games that were kindly sent to me by Mage Company, I come to the largest of the games that I received: Hoyuk. 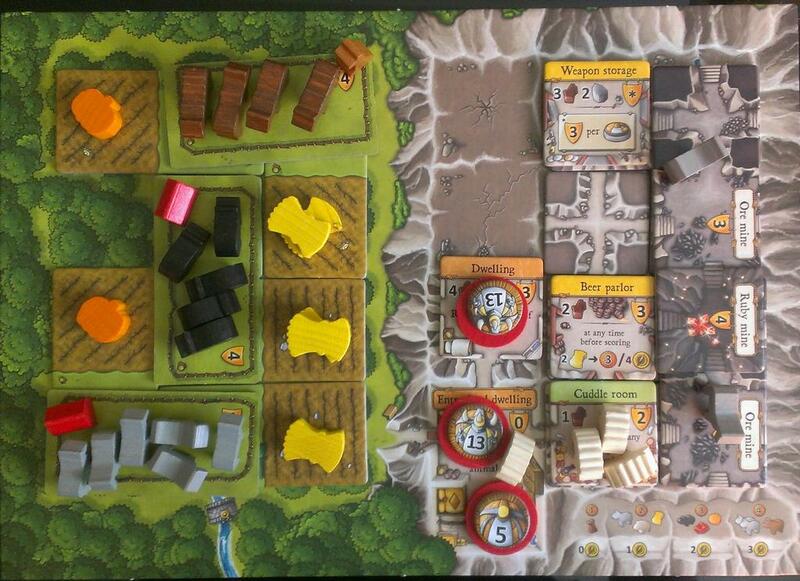 In this game, you control one of five clans of primitive people settling in a valley. You compete to build houses, fill it with people, attach livestock pens to those houses, fill those pens with cattle, and build add-ons like ovens and shrines. One quick note before we get started: I have set up a Facebook page for this blog, so if you like what you read, head on over, like us, and share with your friends! Now, let's start this party properly! 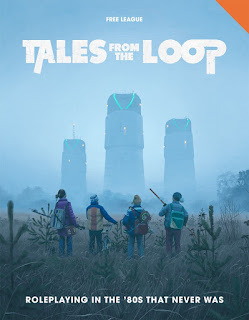 In 2015, Swedish musician/artist Simon Stålenhag ran a successful Kickstarter campaign to fund the publication of his art book, Tales from the Loop. 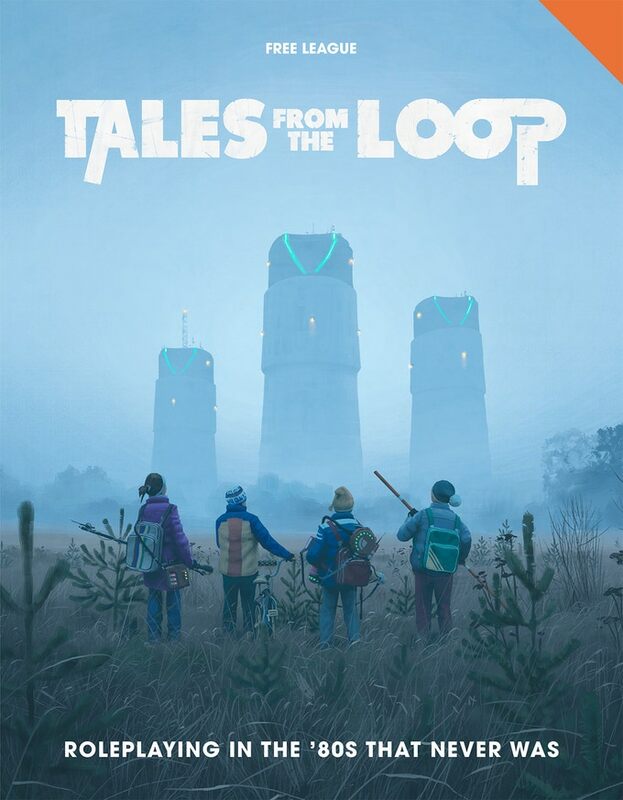 In this book, which was completed in 2016, the reader will find a wealth of paintings that show suburban Sweden in the 1980s, but with the addition of a number of sci-fi elements such as enormous technologically-advanced towers, magnetically levitating cargo freighters, debris from failed particle accelerator experiments, robots of various sizes, and even an occasional dinosaur brought forward through time portals. This was so wildly popular that in November of 2016, a new Kickstarter was launched to turn these paintings into a roleplaying game. This one was also a great success, raising almost forty times their target. Thus, in early April of 2017, backers received their copy of the core rulebook. My good friend John has a copy of this game. He has suggested running a game for me and some others, so he loaned me his book. I spent some time chatting with a friend recently. In the course of the conversation, I ended up describing to her how I got into gaming, and which games I've played, in rough order from earliest to most recent. 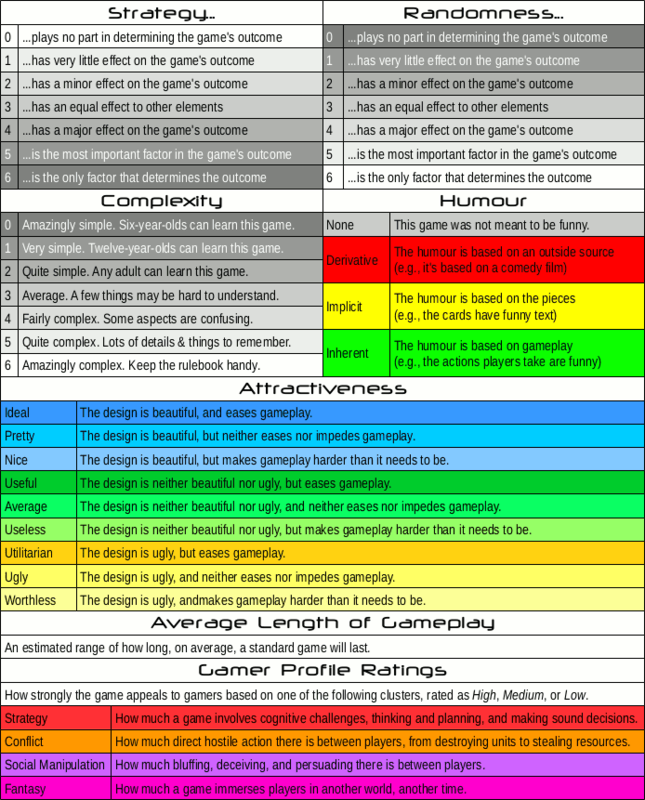 It occurs to me that this may be of interest to others, if only in part because my path into gaming was so very different from that of most other gamers. So I think I will describe it to you, my faithful readers. It's all my father's fault, really. When I was a teenager (15 or 16, as I recall), my father brought home a number of Marvel comic books. He was an executive in the regional offices for Hardee's, the fast food restaurant, before it was purchased by Carl's Jr. At the time, Hardee's was considering doing a merchandising promo with some Marvel characters, and so he brought home a handful of issues of various titles for research. There was an Iron Man, a couple of different Spider-Man titles, an Incredible Hulk, and so forth. But the two that caught my attention were the Uncanny X-Men #258 and Wolverine #23. For those of you who follow me on PinkFae gaming, you may have noticed that the site is having issues. The owner appears to be having issues in her personal life. Which is totally understandable; I've been there. But this just happens to come at a time when I am supposed to be writing reviews for a couple of Mage Company's games. I had wanted to wait for the PinkFae site to be up and running again, but it doesn't look like that's going to happen for some time. So as much as I am disappointed to have to do this on the Game Dork blog instead of the PinkFae one, I don't feel I can wait any longer. 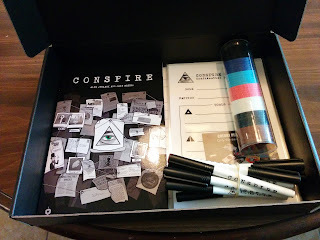 So today, for my entry on The Game Dork's Gaming Corner, I am going to review the copy of Wrong Chemistry that was very kindly sent to me by Mage Company. You may remember that a few months ago, I posted an article that was essentially a series of links to websites that would be of use to both players and GMs in creating both worlds and characters. It included a twitter feed that generated a random map once per hour, a website with story idea generators as well as name and race generators, another website with generators for many different kinds of names, a third website with generators for personalities and other things, and a random city map generator. I have a few additions to make to this list of resources. However, whereas the links in my previous article all had to do with preparing for games, the two I have today are more for setting the mood in the game itself. 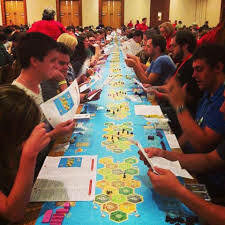 As I've mentioned many times, we are in the midst of a Golden Age of board games. Lots of amazing new games are being published every month. 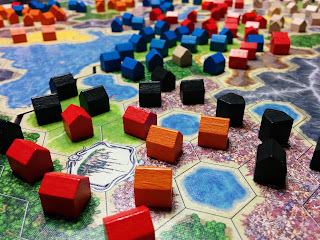 If you go down to your local Board Game Cafe (assuming you're lucky enough to have one in your town, and if you aren't, maybe you should try to start one up! ), they'll likely have hundreds, if not thousands, of different titles from which to choose. And that's not counting the ones they don't happen to have at that particular location, to say nothing of the out-of-print titles that are hard to find! And that is an incredible thing. To have so many options... to have hundreds of games you can play. You can seriously play a different game every day for a year. Two years, if you have access to a good supply, and maybe even more if you're in a place with a vibrant gaming community!